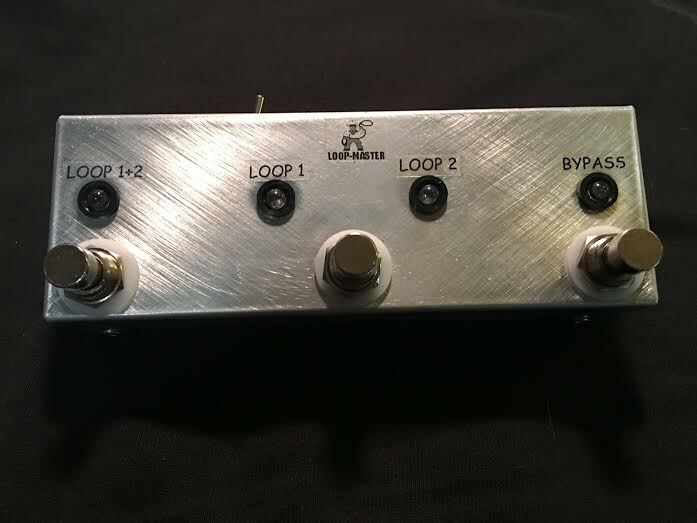 Change from one group of effects to another group of effects in A/B fashion and change the channel on your two channel amp all at the same time. 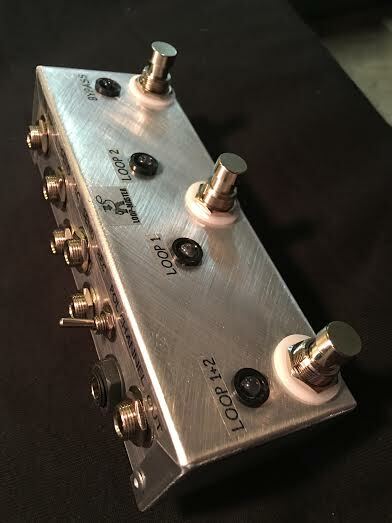 Step on the "loop 1+2" switch to combine loops with either channel at any time. Step on the "Bypass" to bypass any loop or both loops at anytime. Say you want an EQ to come on only on the drive channel of your amp and a chorus and delay to come on only on the clean channel of your amp. Connect the EQ in loop 1 and the chorus and delay in loop 2. Connect a cABle to your channel switching jack on your amp to "Channel" on the loop-Master. If the effect(s) that you want in one loop are on but is on the wrong channel, flip the "Line Polarity" switch once and you're calibrated. Will also work as a stand alone channel Switcher or a stand alone Clean/Dirty Switcher. DIMENSIONS: 4.7" X 3.7" X 1.18".